Dan Gill, Athletic Director for The Episcopal School of Dallas, has been named by Coach & A.D. Magazine as one of 2018's "Sports 40 Under 40" nationwide. 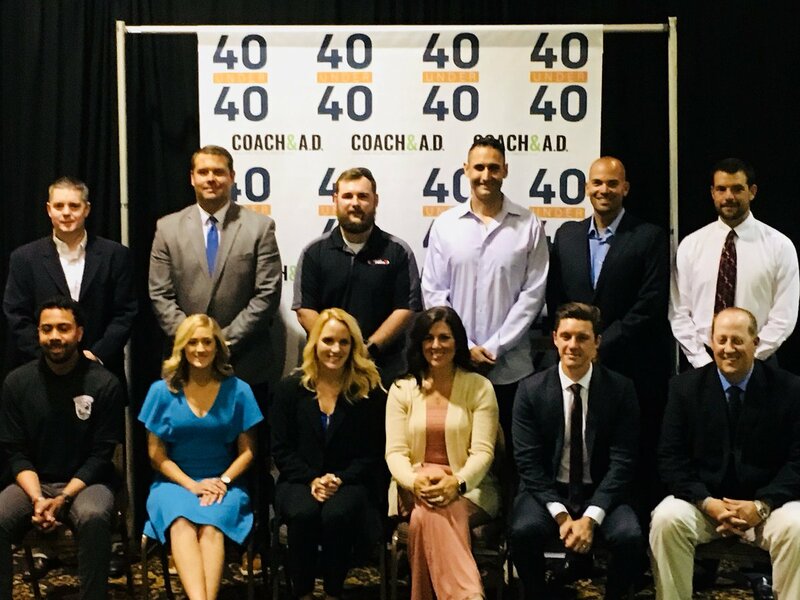 "The Sports 40 Under 40 Awards honor 40 outstanding individuals making their marks in the industry," says Coach & A.D. Magazine. "Honorees come from all segments of the industry: men and women who are demonstrating involvement, innovation, and commitment." Dan Gill and his contemporaries were honored at the National High School Athletic Coaches Association National Convention this past month and will be recognized in the upcoming July/August issue of Coach & A.D. Magazine. Gill is pictured to the right, on the far left of the top row.